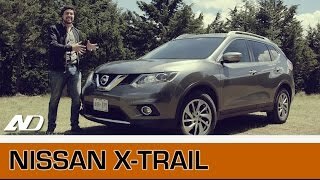 Nissan X-Trail 2015 surprised everyone with its all new sleek designed exterior. Not only had this Nissan in this model loaded series of innovative technologies and safety features and an efficient diesel engine. Looking at the crossover and the confidence with which company is sharing information, it looks they are all prepared with this model to win some more crossover customers. While we still have a question about the performance of this model over muddy terrains in spite of it being an All Wheel Drive model. Well let us read ahead if it is worth penny. The interior of Nissan X-Trail 2015 features a spacious and feature loaded interior. Let us begin with the dual tone dashboard featuring infotainment system and climate controls in it. A multi purpose 5-inch color display is located in center which also provides the driver, information related to vehicle. Center console features a 7” HD touchscreen providing functions through NissanConnect System. While preparing the interior comfort has been taken care while choosing the fabric and thus center-console pad and door armrests gets thicker pad on them. A large storebox is positioned between seats; the box is large enough to house a 10-inch tablet. Another unique feature inside is arrangement of seats in three rows, yes the seats are arranged following the auditorium pattern. This means front seats are lowest in comparison to those in last row, thus passengers in each row will have a clear visibility of boulevard. A satellite navigation is also installed which comes with Google features like, place locator and weather forecasts. It also includes series of safety features like, parking sensors, moving object detection system, Blind spot monitoring, around view monitor, Traffic sign recognition, Forward Emergency Braking and Nissan’s intelligent park assist. 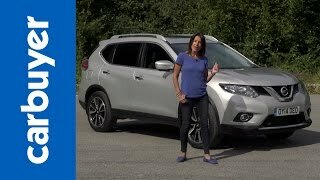 The exterior of Nissan X-Trail 2015 is prepared in CMF platform, for those of you who are unaware about it; it is a joint venture between Nissan and Renault. Benefit of this platform is an efficient and improved performance vehicle. Beginning with front fascia of Nissan X-Trail, headlights get more angular look featuring same LED strip. A little bit of stronger work has been added to the lines of bumper and grille. Tire hugging wheel arches add commendably to the glory of sleek exterior. 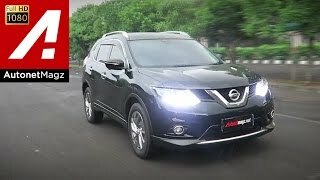 Moving towards the rear fascia of Nissan X-Trail 2015 where taillights have been moved subsequently giving a virtual low profile and widened look to the model. 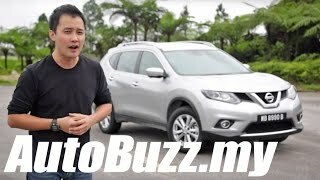 Nissan X Trail gets its power through a four cylinder dCi engine producing 130 HP and 320 nm torque. 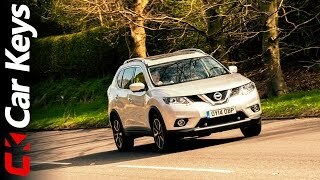 As far as transmission is concerned Nissan X-Trail comes with two gearboxes option: a six speed manual and an Xtronic Automatic, latter being available only for two wheel drive versions.